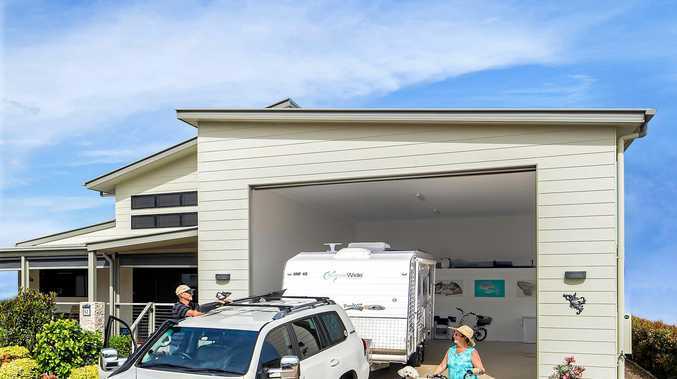 Station Creek Lifestyle Village has based its plans on the RV Homebase, like this home pictured which has a garage large enough to park a caravan. A COMMUNITY group for seniors lost 40 members within seven years because retirees could not find a place to live in the Gladstone Region. 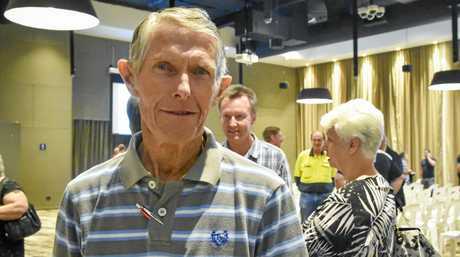 Gladstone retiree and avid volunteer Roy Jones said the loss of members at the National Seniors Branch of Gladstone was not an isolated example of elderly leaving the Port City. Mr Jones said those 40 people who moved to Bribie Island, Hervey Bay, Bundaberg and as far as Cairns, were just a fraction of the number of residents forced to leave the region to retire. "They're leaving their children and grandchildren behind, and the families are losing their support base too," he said. "All these people who are leaving are potential volunteers too for Bluecare Auxiliary and Evenglow and the blood bank... these places don't run without volunteers and most of them are retirees." The need for retirement living options for the region was not lost on those who attended Wednesday's community forum for Station Creek Lifestyle Village. The proposed $300-million project, slated to be built on land at the corner of the Bruce Highway and Old Tannum Rd, would offer 500 RV-friendly homes for active retirees. It is expected to be similar to Maryborough's RV Homebase, which has garages big enough to park a caravan and offers garden and home maintenance while the residents are away. Proposed by Gladstone Region family the Manns, the village aims to fill the need for more retirement living options. "This is about keeping families together. We've all heard the stories about people having to leave town to retire and we want that to become less likely to happen," presenter Chris Brooker said. "We want to keep retirees and their skills and knowledge in the region." To go ahead the project needs Gladstone Regional Council approval for a material change of use for the land, which is currently rural zoned. The Mann family purchased land at Benaraby between 1871-1910, including the two adjacent rural properties on the highway. The land was passed from the late Bruce Mann to his four sons - Michael, Anthony, Jonathan and Philip - who created the company Boyneglade Property Developments Ltd. They hope to fulfil their father's dream of opening a retirement village. While the four brothers were on hand to answer questions at Wednesday's forum, most were directed to Zone Planning's Sarah Camilleri. Residents were keen to know if other sites had been considered, perhaps closer to Gladstone. Ms Camilleri, a town planner, said available urban-zoned land in the Gladstone Region was analysed as part of the development application. 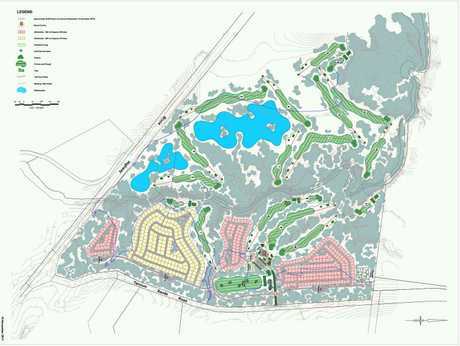 "Because we have the golf course and recreational facilities inside the development we need a substantial area of flat land," she said. "We can't find any areas that are better suited. "Because it's in the rural zone council says it's technically not the right place for a retirement village. "We need to prove to them it is suitable and there is a need." 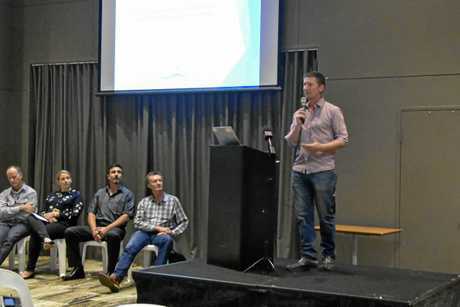 The family urged residents to make submissions to the Gladstone Regional Council voicing their support or concerns. If approved the family hopes to open the facility within three to four years. It expects the application process to take 12-24 months and construction to take about one year. The project is hoped to bring economic benefits to the region in the way of jobs during construction as well as full-time employment once opened.